My wife was arranging a catching up with a uni friend, who now works in Hong Kong. 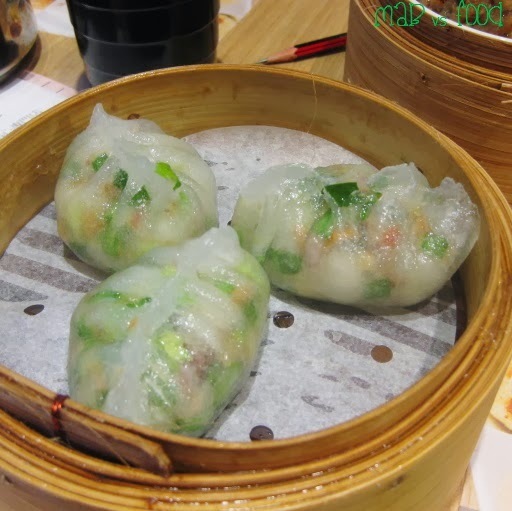 The moment that the friend suggested that we should have breakfast dumplings at Tim Ho Wan – the Dim Sum Specialists, I immediately became very excited as I had heard a lot of great things about them. I couldn’t wait to eat at what is widely known as the cheapest 1 Michelin Star restaurant in the world. The man behind Tim Ho Wan, Mak Kwai Pui, was a former dim sum chef at Lung King Heen, the only 3-Michelin star Chinese restaurant in the world. This goes a long way to explaining why THW has built its reputation for quality and value and been awarded a Michelin star. There are certainly some similarities between LKH and THW (e.g. both do baked BBQ pork buns and tonic medlar cakes). But most importantly the dumplings at THW are a fraction of the price of those charged at LKH! Just as famous as the BBQ pork bun are the massive queues outside THW, especially the original Mongkok store, that snake across the block for what seems like miles. But on this day we were visiting the North Point branch, which had only opened a few months earlier in 2012 and the queues here are much more manageable. We got there before the restaurant opened so we were able to get a table straight away. However the store was full within 10 minutes of opening, so anyone wanting to eat at THW should definitely come early or be prepared to wait. I know what I would do, as these queues will test the patience of even the most patient (i.e. not me!). My wife’s friend suggested that we order the steamed beef balls and boy did he make a great call! This was a dish that I was not expecting to be so impressed by. These beef balls were just frickin’ awesome! They were so tender, juicy and succulent - unlike anything I had tried before. 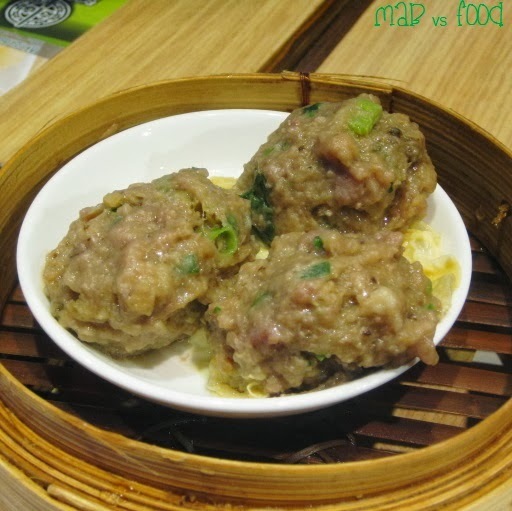 I am not usually a fan of steamed beef balls at yum cha places as I usually find them to have a hard, rubbery texture. These just totally shot away any preconceptions I had of beef balls. The beef balls were also infused with tangerine peel, spring onion and lemon grass, which gave the beef balls a great flavour profile. Beancurd skin wrapped with an assortment of vegetables such as mushrooms, carrots and cabbage, are a favourite yum cha treat of my vegetarian wife (well she really doesn’t have a choice seeing as these are one of the few things that she can actually order at most yum cha places!). These were no exception and were quite enjoyable. 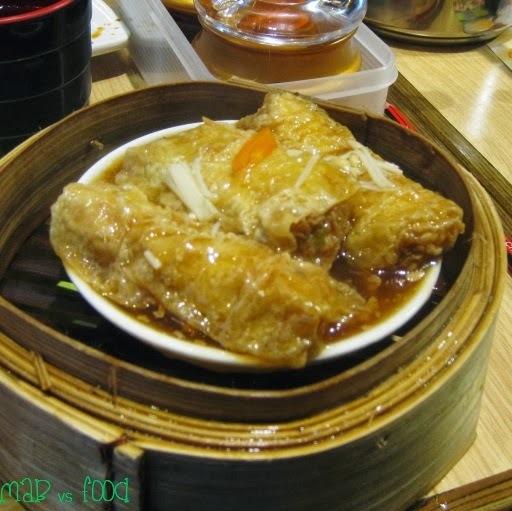 The beancurd skin becomes quite juicy as it soaks up all that sauce, which was both sweet and salty in flavour. 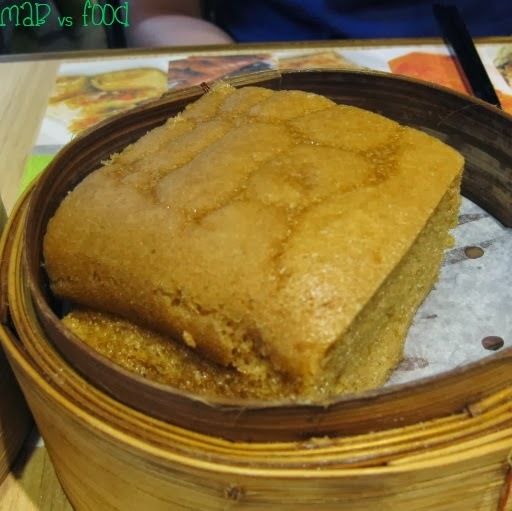 Tim Ho Wan’s version of steamed egg cake is a winner and in my opinion a must-order. It was light and spongy, and also had a nice caramelised flavour. 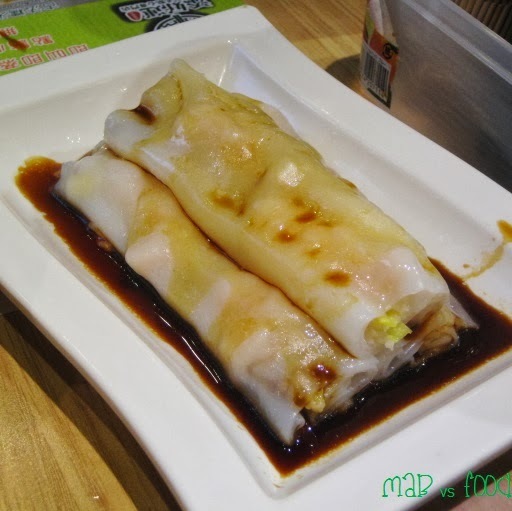 These vermicelli rolls were quite good. The rice noodles were silky smooth and cooked just right. The prawns were good quality too and the dressing of soy sauce, ginger and spring onion is one that I would happily run my finger through and lick. The steamed dumplings are cooked to perfection. The dumpling skins were thin and had no hint of sliminess. The filling contained a classic combination of pork, chives and peanuts. 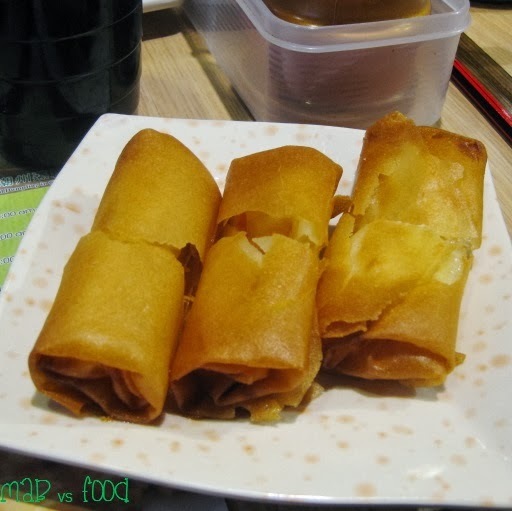 These were vegetarian spring rolls and whilst they were good, they weren’t anything particularly special or different to what we have tried before. They were very crispy though, with sharp edges that could almost cut your mouth. 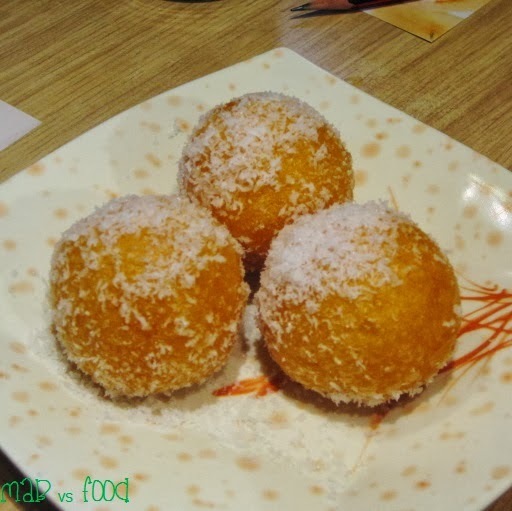 The deep fried pumpkin dumplings with egg custard, which were sprinkled with coconut, were quite brilliant. The best part of these was the oozing egg custard in the centre, which tasted more savoury than sweet, which I particularly enjoyed. 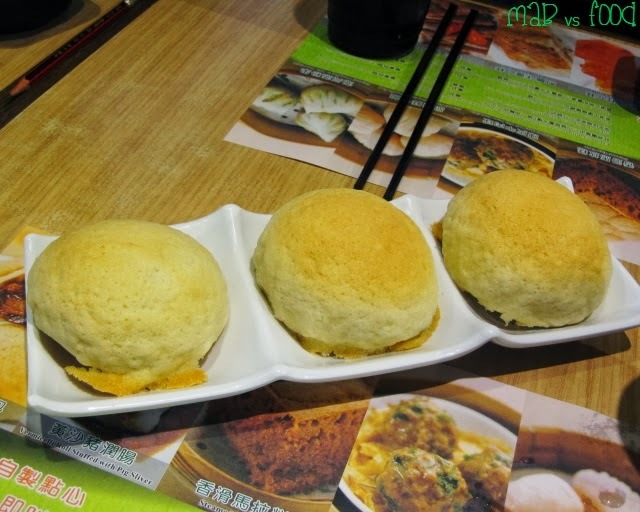 And finally, the famed Tim Ho Wan baked BBQ pork bun. Is it worth all the hype? You bet it is! Some say this is the best BBQ pork bun in the world. I haven’t had enough BBQ pork buns to make this call but I can say that it is probably the best BBQ pork bun that I have eaten. The BBQ pork bun here is baked rather than steamed, which adds a lot to the bun. The buns were baked fresh and delivered to our table piping hot. 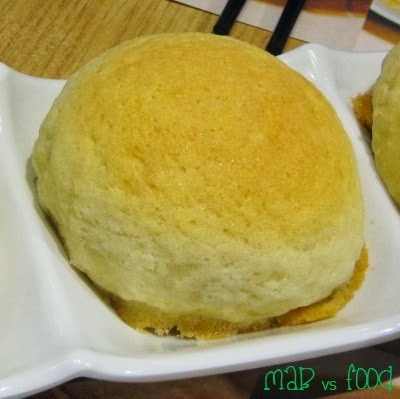 The exterior is crumbly and sweet and the bread is actually quite light and fluffy. On the inside, the BBQ pork and its oozing sauce it is are just so tasty. What you get is a perfect combination of sweet and savoury flavours that are insanely addictive. This is why I had an entire serving to myself! Highlight: The baked BBQ pork bun. Enough said. Lowlight: Vegetarian options are very limited. We ordered every savoury item on the menu that was vegetarian (the steamed beancurd skin and the spring rolls) and as it was only 2 items, the vegetarian was not full so we had to go look for Hong Kong style egg waffles to satisfy her appetite.